Formerly at 9641 28th Avenue SW, 98106. New 2017 address above. Planned Parenthood lab inspection report for PP locations in Bremerton and West Seattle, WA. 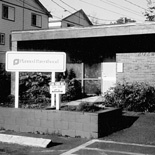 Both locations owned by Planned Parenthood of the Great Northwest. Planned Parenthood lab inspection documents and site licenses for multiple locations, owned by PP of the Great Northwest. Multiple locations include Bremerton, Issaquah, Kent, Oak Harbor, Seattle, Silverdale, and West Seattle. See pages 1, 9, & 14.